Hey folks! In case you haven’t been keeping up with WooCommerce updates, we wanted to share a pretty awesome thing they did with you yesterday. WooCommerce has released Storefront, which is an entirely free WooCommerce theme. And it’s fantastic. 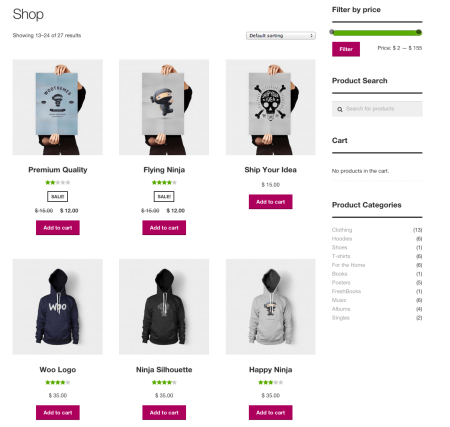 Lots of customers end up asking WooCommerce, “Which theme for WooCommerce should I use?” It’s a question we get at SkyVerge, and it’s one I get at Sell with WP frequently as well (which I also answer in this free resource). We now have an answer: start with Storefront. It can get you up and running quickly, and there are enough options in terms of customization that your site won’t look exactly like another. There are also premium extensions that will help you get the look you want. This will allow you to start with it, then customize and change it as you grow, or upgrade to a premium theme later. We’ll have a detailed review for you on Monday at SellwithWP.com, but here’s a quick tour in the meantime. 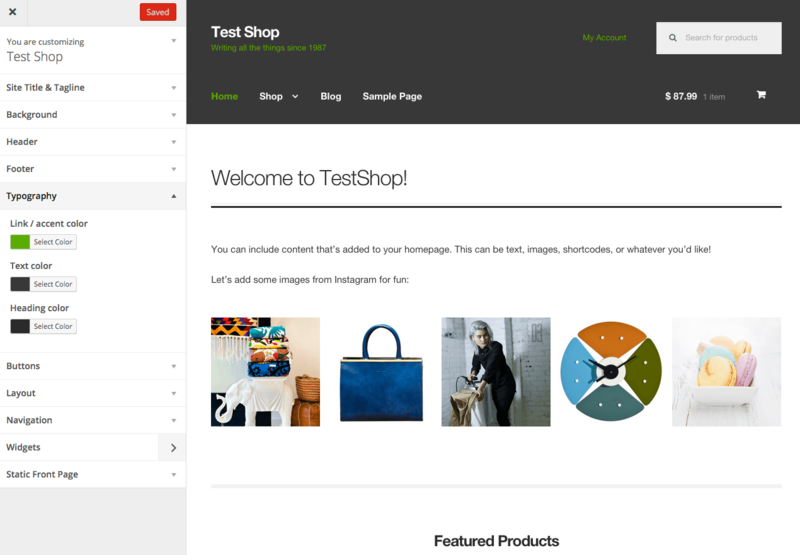 Storefront setup is easy and is done through the WordPress Theme Customizer. Here you can change your color options and navigation. 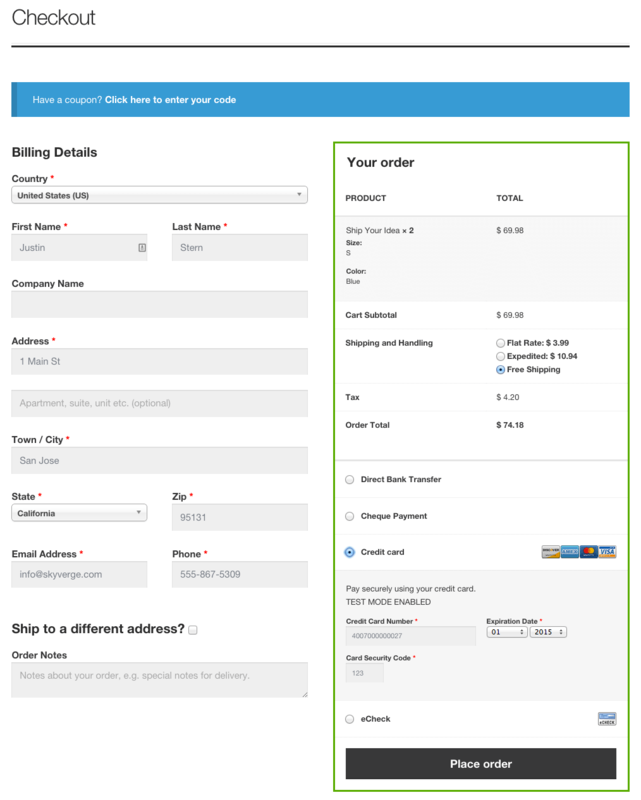 You can also adjust your homepage layout using the WooCommerce Homepage Control plugin. This will let you choose which sections to display, and what order they should display in. 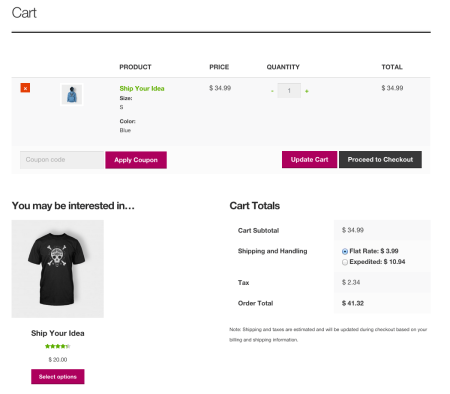 Storefront pays close attention to WooCommerce, and is integrated tightly with WooCommerce styling. It’s designed to provide a shop-centric website, while still allowing you to maintain a blog or add your own features and templates as needed. The shop and product pages show off your WooCommerce product images, while allowing you to adjust button colors via the built-in options. They feature flat buttons and inputs with a clean, sharp layout. The cart and checkout flow are great as well. Don’t forget to use full-width templates for these pages, and they go really well with some of our plugins, like Cart Notices or Social Login 😉 . I also really like the checkout template, as it keeps the order details in view on the right rather than at the bottom of the page. 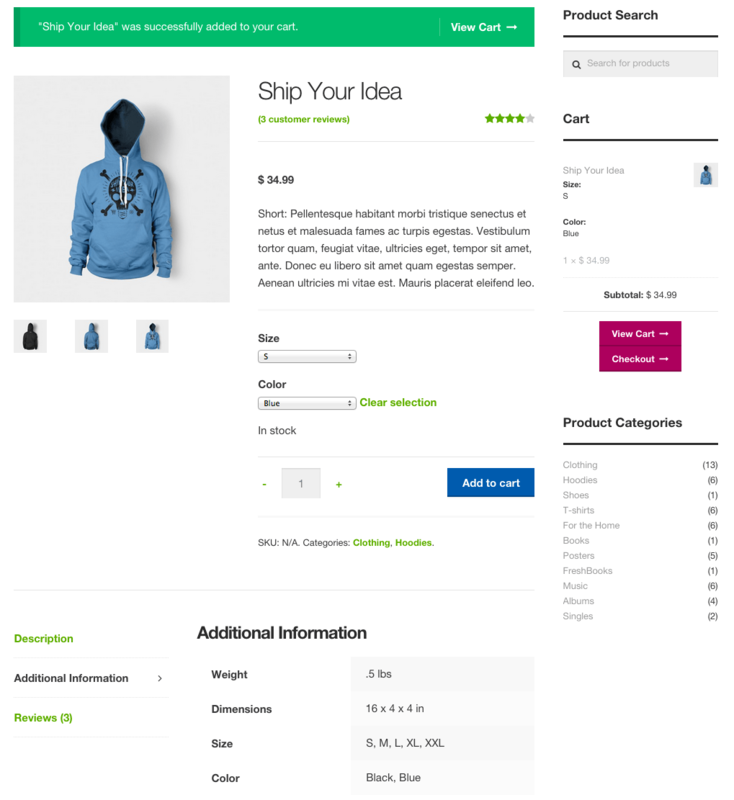 Overall, we think Jay over at WooCommerce did a fantastic job with this theme, and we highly recommend it as a starter theme or a basis for your own, custom-developed theme. You can check out the landing page or the theme demo for more information. You can also download it from WordPress.org if you’ve got a development site to play around with it.